Even the prime minister can get a little a peckish from time to time. 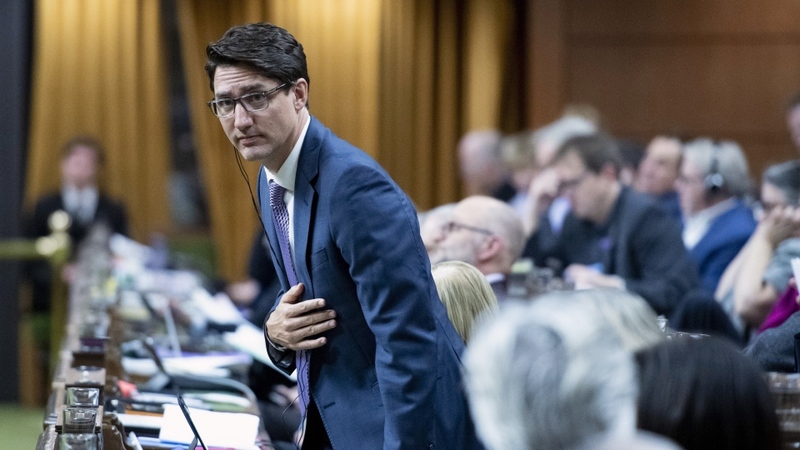 During the first hour of Wednesday night’s marathon voting session in the House of Commons, Prime Minister Justin Trudeau was called out by a member of the Conservatives for surreptitiously eating during the proceedings. “We all know that the rules of this House do not permit us to eat in this place and I can’t help but observe that during the last vote a number of people were eating in their seats including the minister of defence, the minister of Canadian heritage, and the prime minister who appeared to be hiding a bagel in his desk,” Conservative MP Scott Reid announced. The Conservative politician was referencing the ongoing SNC-Lavalin scandal that continues to dog the Liberals more than a month after it became public. The SNC-Lavalin affair is also the reason why Members of Parliament were in the House of Commons on Wednesday night. The Liberal majority shot down a Conservative motion calling on the prime minister to allow former attorney general Jody Wilson-Raybould to testify again about the scandal. This led to a Conservative-sponsored filibuster that has continued into Thursday morning. In response to Reid’s accusation, Trudeau stood up and acknowledged he had eaten during the session. “Indeed Mr. Speaker, I apologize. It was a chocolate bar and I apologize,” Trudeau stated as members of his party suppressed smiles behind him.